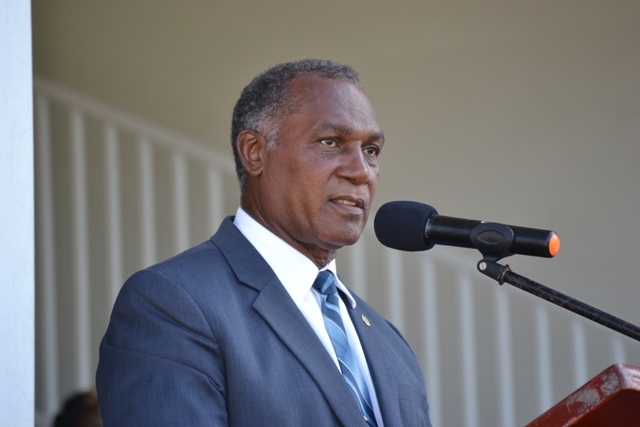 NIA CHARLESTOWN NEVIS (SEPTEMBER 24, 2015) — Premier of Nevis Hon. Vance Amory spoke to the youths of Nevis about criminal activities within the island when he delivered an address during the 32nd Anniversary Independence Ceremonial Parade and Awards Ceremony at the Elquemedo Willet Park on September 19, 2015. He urged them to find a role model in the society so they could develop positive habits that would make the country a safer and more secure place. According to Mr. Amory, the youths represents the largest sector of the population and some of them are posing great challenges to the government and the country as a whole. Hon. Vance Amory cited the 2014 statistics which revealed an increase in the employment rate which exceeded 400 jobs. He also indicated that there was an increase in economic activity, particularly in the area of construction and commerce. Mr. Amory beseeched the young people to make use of the job opportunities rather than remain dependent and unemployed. According to Mr. Amory, the country has a vibrant economy so citizens should choose an occupation and make quality contributions towards the country’s prosperity. He continued that even if citizens do not become National Heroes, they could be national heroes in their own lives. Mr. Amory reminded the youths that the size of the island is not what is important but rather the quality of their work. Most importantly, he advised them to take action against crime and anti- social behaviour. 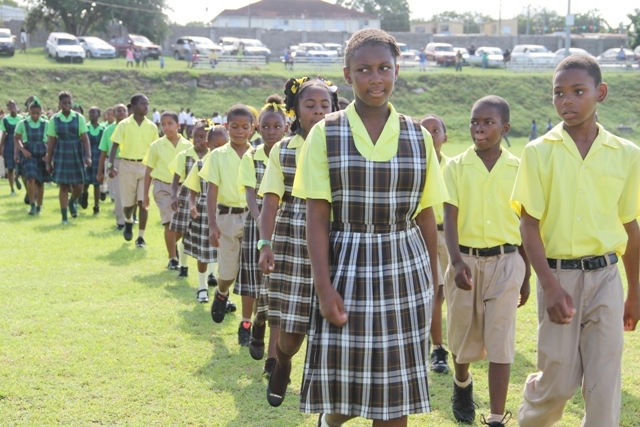 The Premier used this opportunity to refer to the refurbishment of all government-owned schools and to point out that the over $300,000 project was an investment in the country’s youths and should be seen as nothing less.